Needless to say, some evangelicals took issue with some of these points. Most of the backlash I saw was, I think rightly, focused on points 3, 4 and 7. To be fair to Dr. Benge, he clarified that the word “low” in “low view of the sacraments” should be understood in the theological sense—the evangelical view is “low” versus “high,” not “low” versus reverent. The distinction matters. However, some who understood it still registered an objection. A little historical context might be helpful. The book Benge is quoting is a compilation of sermons by Dr. Jones, given over a span of 35 years from 1942-1977. Interested readers can look at a biography of Jones here. A giant of mid-20th century Welsh Reformed thought and preaching, he became intensely concerned that evangelicalism was slipping away as a meaningful concept. These sermons were his way of planting a flag and bracing against the coming tide of liberalism. In 1966, he urged a hard break of faithful evangelical clergy with denominations he believed had been compromised. This set him on a collision course with John Stott, who admired Jones but took issue with his radical separatist philosophy. Eventually Stott won the day. However, as the ensuing decades have shown, Jones’s concern about the Church of England wasn’t ill-founded. Fast-forwarding to 2019, Dr. Benge sees himself as carrying Jones’s torch here in the states. Liberalism has found yet new depths to plumb since Jones’s day, and the church has fractured to a level perhaps even he couldn’t have predicted. In our current cultural milieu, the injunctions to be “watchful,” to be “Bible-centered,” to “act upon beliefs” and to “study history critically” feel more timely than ever. The question of sacraments is, of course, a long, rich and time-honored debate. At the time Jones was preaching, a sacramentalist evangelical would have been considered oxymoronic. But things have changed, partly through the work of people like Richard John Neuhaus. Socially and culturally, the idea of what makes an evangelical has broadened to include those who hold a more than memorialist view of the sacraments. Many a faithful Anglican and Lutheran holds this in one hand while holding a commitment to the faith once delivered to the saints in the other. I place myself broadly in this sacramental Protestant tradition, though I have yet to find a denomination whose complete suite of particular tenets I can whole-heartedly sign on to (which basically makes me an Anglican). It seems to me that this enlarging of the tent has, on the whole, been a good thing for evangelicalism. I could understand the frustration better if it were an actual denomination with a specific creedal core. As it is, since the term has always been primarily a socio-cultural one, I see nothing wrong with expanding its use to reflect socio-cultural shift. This is not to disparage evangelicals who have a strongly principled memorialist stance. I merely suggest that if one is looking for dangerous signs of compromise in evangelicalism writ large, one might have better targets than, say, a Missouri Synod Lutheran who affirms the Real Presence. He urged his people to use reason as a servant and not as a master. “It is when men begin to bow the knee to scholarship, submit themselves to it, and to regard it as the ultimate authority, that I suggest they have sold the pass and ceased to be truly evangelical”. He believed evangelicals must always keep their wits about them and refuse to be overawed by the musings of human reason and scholarship. There’s a particular important sense in which I think this can be true. It can be true in the sense that the academy has become hostile to the evangelical faith, and that this bias informs much of their scholarship. But some evangelicals, cowed by credentialism, have chosen to give shoddy scholarship the benefit of the doubt. 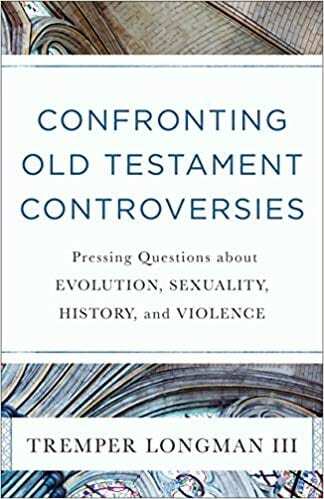 I am particularly saddened to see how this has taken shape in the realm of the sciences and the evolution vs. creation debate, as well as historical criticism and biblical scholarship. It takes no small amount of chutzpah to suggest that perhaps an entire cluster of disciplines just is corrupt, particularly when you don’t have the “right” configuration of letters after your last name. The problem is that in Jones and Benge’s mind, the maintaining of chutzpah and independent thinking in the face of credentialism (good and needed) is conflated with a general distrust of “human reason.” In some Calvinist circles, I have observed secondhand how this manifests itself as an assertion that faith and reason are inherently at odds. This leads to the repression of honest doubts, discouraging both people who ask questions and people who want to give them answers. I don’t know Benge’s own view on apologetic ministry in the church. I can’t find anything he’s written on the topic one way or the other. I wonder whether he would view it as suspicious by virtue of its over-emphasis on “human reason.” This would certainly be a grave mistake. Despite my critiques, on Schopenhauer’s principle that truth needs vessels to carry it, I salute Benge’s particular brand of Reformed Christianity for functioning as an effective vessel in these times. We don’t have very many vessels left, and we should seek common ground and forge alliances where we can. So here is my question for Dr. Benge: Do you recognize who all of your allies actually are? “It is when men begin to bow the knee to scholarship, submit themselves to it, and to regard it as the ultimate authority, that I suggest they have sold the pass and ceased to be truly evangelical”. The irony here is , that’s exactly what Benge is doing here with this statement based on his scholarship of it. No one used reason more than Jesus. Every other attempts to classify them lack the accuracy and straightforwardness of these two criteria. FWIW, evangelicalism in the world is increasingly Asian, African, and Latino. That’s not just true globally but also here in the US, where the evangelical and Pentecostal denominations (and also the independent nondenominational churches) have higher percentages of non-whites than do the liberal churches who boast of how “inclusive” and “multicultural” they are. The liberal churches, which are shrinking rapidly, have essentially become Sunday morning clubs for white liberals. The secular media’s stereotype of a monolithic “white evangelicalism” is not based on reality. Yep, evangelicals are inclusive, particularly if one includes the ignorant and the crazy. Should number 12 be evangelizes instead of “Evangelists” or am I just unfamiliar with this usage? How about we end all this squabbling about who is who/what, and get back to what we’re supposed to be all about: followers and lovers of Jesus Christ. Sadly, the Pentecostal Church split shortly after its explosive beginning on Azuza Street over the issue of race – the Apostolic Church became predominantly white, while black Pentecostal denominations began to grow. Methodism began in America as racially mixed, as John Wesley saw no color in the gospel, yet before his death, the American Methodists allowed slavery (which he disavowed) and blacks were told to stand in the back during worship. The AME denomination began out of frustration over this. The truth is, we have never been good at overlooking race in America, even within what should be a united Body of Christ. There are exceptions, of course, but by and large, we still tend to worship along racial lines, whether liberal or conservative. As Jim Wallis, founder of Sojourners, puts it, racism is America’s “original sin.” And we need to change this, or our witness is undone. When I think of ” Evangelicals ” I keep seeing Trump supporters as members of the basket of deplorables. I agree Evanges have a distrust of reason. It’s essential to distrust reason in order to believe in all of the magical folklore surrounding the Jesus character. But that’s antithetical to critical thinking. Jes sayin’. Nope, you are wrong, totally and utterly. You should not call yourself “inclusive” when your church clearly has no success in attracting non-whites. Jim Wallis can rant about “racism” all he wants to, but he belongs to the Christian left, which is predominantly white. You did not read all of my comments, for you failed to respond to my appeal to Christian unity. I simply pointed out we have a ways to go as far as interracial worship. Your data suggests that the Assemblies of God have improved on their founder, which is a hopeful sign. However, statistically, black Americans are more likely to attend worship services regularly than whites, so even with your statistics, we have a good way to go before we can call ourselves truly colorblind, since blacks comprise over 12% of the population in America. We have improved, but there is still room for more improvement. As for “inclusive” denominations, the United Church of Christ, one of the more “liberal” denominations in America, reports 83% white membership – all other members are minority-represented. This seems to be almost identical to the Assemblies of God and Free Methodists. The Presbyterian Church (USA), while still predominantly white, is led by a black Stated Clerk. It seems they are working to build bridges where in the past there were walls. I am personally sensitive to race relations, as my wife is black and I am white, and we have three biracial children who are considered “black” in this country. Where we live, in a rural part of New York, few black people live, so racial diversity is difficult to find, and my wife is the only black member of our congregation. However, she is accepted and beloved by our members. Your comment about not having success in attracting non-whites is beside the point in homogeneous areas – it is easier in urban and suburban areas, which tend to be more interracial. You seem to have viewed my comments as some sort of attack on Pentecostals. This was not my intent. I was simply citing history, and reporting we still have a long way to go towards healing the racism that still seems to grip our country. I denounce all forms of racism, and ask all fellow Christians to do the same. I invite you to join me in this. Nah. Squabbling is always way more fun. Btw, Squabbling is now today’s word of the day. All day. Thanks. 1) No, I will not allow. 2) Having said that, please allow me to suggest that in the above context, “The Kerigma” is worthy of proper noun status, and should therefore be capitalized. 3) Defining allies in this world, based primarily on a shared spiritual delusion, however comforting that delusion may be to its adherents, has historically never gone well – at all – for someone in the equation. 4) The likely unforced irony of borrowing from Schopenhauer in this essay is delicious. 5) Thank you for the beautiful and esoteric phrase, “The Kerigma.” Had to look it up. Looks like it relates to the early days, the pre-gospel-book days. Perhaps the first big Greco-Evangelical years (70s – 150s or so) back when new adherents at least had heard of someone in possession of some letter or other text, which actually represented the entire gospel to that small group. The early times when no small group of Christ(ish)-believers agreed with any of the other small groups, (who had their own, authoritative, texts, thank you) exactly what this new, loose-knit, multi-town cult thought, believed, or even called itself. 6) Tomorrow’s word of the day is “Kerigma.” Today’s is already called; it’s “Squabble.” Thanks again. Should I tell the African-American families at my church that they should stop coloring themselves? Do I need to change my party registration so it matches your description? Got lotsa time for trolling. Must be warm in yo momma’s basement, eh? Whatsah matter, Phil? Hit a nerve? Can’t dispute anything factual? Have a nice whatever, Phil. Or Bert. Sorry, didn’t vote for The Donald. Is there any other aspersions you would care to cast? BTW, using the Southern Poverty Law Center as a reference is akin to using Mao as a reference for compassion. It may work with the brain dead – witness yourself, as an example – but Imma thinking it won’t fly with normal people. Question: What is an Evangelical? One answer: Imperious Dogmatist Insisting On Theocracy. I’m confused about what the point of this is. If we’re trying to define the word “evangelical”, then twelve characteristics is way too many to constitute a usable definition. If it’s an observation of typical characteristics of people who call themselves evangelicals, then the word “true” (in “true evangelical”) seems out of place as it implies judgement without a basis. As one who used to consider myself an evangelical before the word came to have political connotations, I thought it originally meant someone who has personnaly accepted Jesus as lord and savior and wants to share the good news with others, as opposed to liberal Christianity which downplays anything spiritual. But the discussion here seems to be going in a completely different direction. It appears as though “evangelical” has become just a cultural identification having little to do with spiritual doctrine. And if it’s just a way of dividing people into categories, what’s the point of that?